January 14, 2018 / Chasity Jennings-Nuñez	/ SEF news! The Educational Foundation is excited to bring another incredible Music Center performance to our elementary schools. 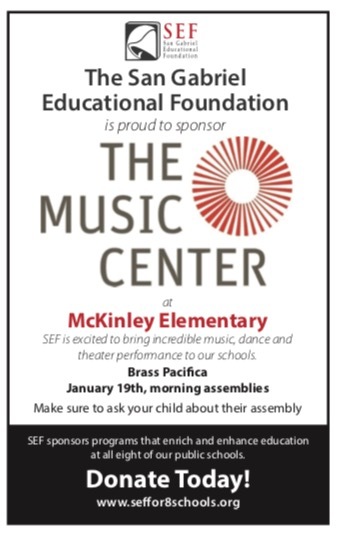 Brass Pacifica, five talented musicians showcasing brass instruments, will perform for all of the McKinley students on Friday, January 19th. Donate now to help SEF continue these programs.